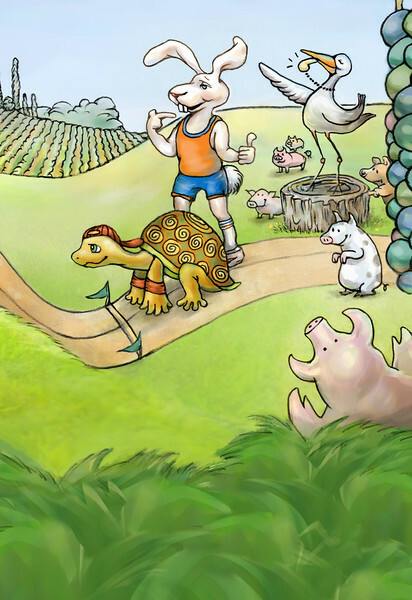 The Tortoise and the Hare is a retelling of the classic fable. Given his great speed, boastful Hare is certain he will beat humble Tortoise in a race. Hare does not realize, however, that slow and steady wins the race.